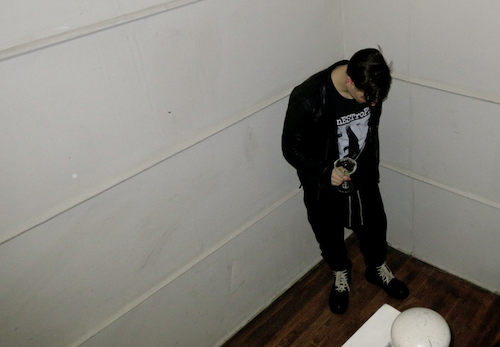 NYC noise figurehead PRURIENT has premiered another new track from his forthcoming double album Frozen Niagara Falls. Listen to “Greenpoint” here on Fader. This 16-song album is Prurient’s first full-length since 2011’s game changer Bermuda Drain and sees Dominick Fernow deliver his most ambitious and massive Prurient album to date. A double-album clocking in at a near 90-minutes, Frozen Niagara Falls is set to define Fernow even more as a master within all the genres the band tends to crossover into. Throughout the years, Prurient has been known to constantly shape shift its sound into many mutations and incarnations within the noise genre through massively layered walls of sound. Consisting of harsh feedback, tortured vocals, meticulous sampling, machine-like industrial pounding, entrancing synth work, enticing beats, and waves of electronica, these sounds create an aura that treads the fine line of harsh noise extremity and atmospheric beauty. In what encompasses moments familiar from the entire Prurient catalog along with creating something entirely new and different from what the band has previously done, Frozen Niagara Falls (in which its journey began to manifest in late 2013 and was finally completed on Valentine’s Day 2015) could very well be recognized as the Prurient magnum opus. Throughout a massive repertoire that consists of full-lengths, EP’s, splits, singles, limited cassette runs and 7” releases, etc., Prurient is one of the most important artists to define and reinvent the genre of noise music which in turn has made Fernow one of the premiere visionaries in the entire genre of experimental music. Look for the next chapter in Prurient’s story, Frozen Niagara Falls, on May 12th, 2015 and see Prurient play select live shows in May and June.